Do I need an architect or professional engineer on my project? Every licensed architect in Nebraska must meet the continuing education requirements as a condition for license renewal. License reinstatement applicants are required to provide documentation of compliance with continuing education requirements during the two-year period prior to their application. 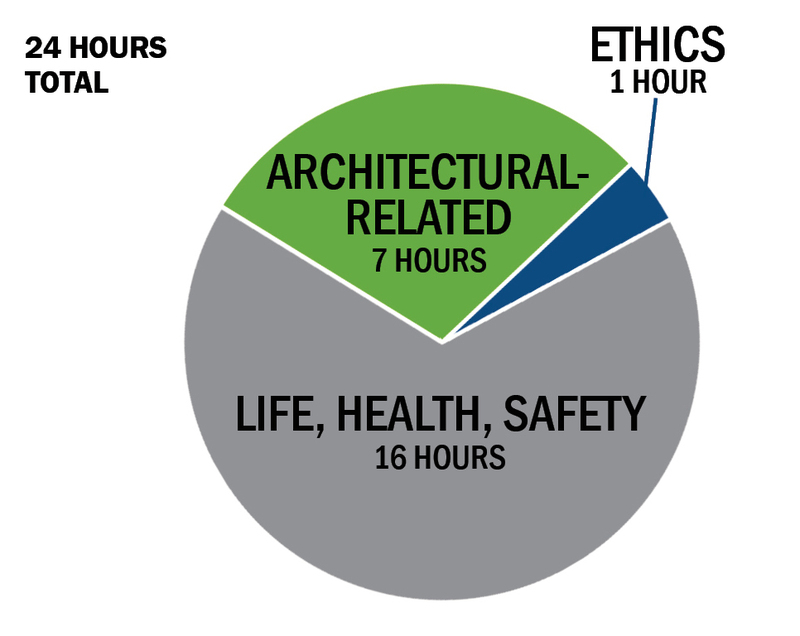 Architects must complete twenty-four actual hours of architectural-related learning every biennial renewal period to meet the continuing education requirements. Of these, at least sixteen must address the safeguarding of life, health, and property (also referred to as Health, Safety, and Welfare), and one must be directly related to ethical issues of professional practice. Newly licensed architects are exempt from the continuing education requirements for their initial renewal period. The Board has final authority with respect to approval of courses and credit. The Board does not pre-approve ANY course. Information regarding allowable web-based continuing education can be found here at this link. Records of CE activities maintained by AIA or similar repositories. The Board establishes a number of licensees to be selected at random for an audit of their continuing education. The selection of licensees typically occurs in October, when the renewal system is activated. Licensees are notified of their selection for an audit once their renewal fee is received. Those selected must successfully complete the audit in order to have their license renewed. If the audit is not successfully completed by the license expiration date, the individual will not be authorized to practice architecture in Nebraska unless and until the audit is successfully completed and their license is renewed. Attendance verification records, such as completion certificates or other information documenting evidence of attendance. If you have any questions about the continuing education requirements for architects, please contact us.